The cannabis market has seen a lot of cross-breeding among different strains to provide consumers (recreational or medicinal), with variety. One such hybrid getting a lot of excitement is the JuJu OG, distributed by the popular online cannabis shop JuJu Royal. The JuJu OG is a hybrid of two popular strains, the OG Kush, and the Jamaican Heirloom. For those noobs to the cannabis scene needing a bit of a baptism, here are some facts about both strains. Purported to be the most reputable strain, the OG Kush is said to be responsible for a myriad of popular strains available in the market. One report says that the OG Kush strain even created the “modern cannabis scene” in the country. OG Kush is said to contain between 19% and 27% of Tetrahydrocannabinol or THC. Quite potent, they say. One of the strongest in the market. THC is a psychotropic cannabinoid. It is also the principal psychoactive component of cannabis. Because of its THC strength, it is recommended for experienced users. First time users are recommended to use something else. The full-body relaxation induced by the use of OG Kush is also good for those with high stress and anxiety issues without reducing their energy levels. The OG Kush variety not only fully relaxes the user, but also provides that “upbeat mental high” that highly improves ones mood. The “slight mental stimulation” is also good for those who want to improve their focus on relatively easy tasks they have on hand. Those sensitive to high levels of THC should not take the OG Kush in high doses, however, as there are reports of increased paranoia in some users. This seed stock is reported to come from the beautiful town of Negril in Jamaica, known for its beautiful seven-mile coastline with stretches of awe-inspiring golden sand, kaleidoscopic sunsets, and calming turquoise waters. This snorkeling and scuba-diving destination peppered with resorts, bars, and restaurants, is said to be the origin of the original lambsbred or lambs breath. Lambsbred or lambs breath is another popular variety that’s earthy. The male cultivar Jamaican Heirloom is reported to be a stable variety but grows fast. It adds to any strain that it is mixed into. Lambsbred is the original Jamacian term which when translated means “good weed.” The Dutch mistook and misheard the term and has started to call it lambs breath, instead. 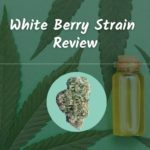 This strain is good for those with depression as it propels the user to have a positive instropection while giving him or high amounts of energy.